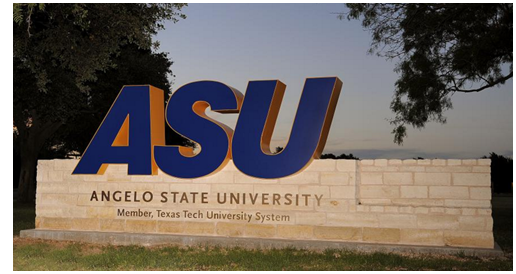 ​SAN ANGELO - For the second year in a row, Angelo State University has posted a new record fall enrollment with a total of 9,601 students enrolled for the fall 2016 semester. This marks the first time ASU enrollment has surpassed 9,000 students. Graduate student enrollment reached 1,492—257 more than the 1,235 grad students from last fall—marking the 14th consecutive enrollment high. Increases were also seen across the board in first-time student, freshman, sophomore, junior and senior enrollment, resulting in a total undergraduate headcount of 5,798 students this fall—up from the 5,411 enrolled in the fall of 2015. Another factor in the record enrollment is the 2,311 students enrolled through ASU’s dual credit program, up from 1,898 last fall. The overall fall 2016 enrollment of 9,601 is up from 8,508 last fall. The enrollment totals were counted as of the 12th class day.